Lewisville, TX - National Switchgear (NSG), the most preferred electrical service provider in the marketplace, and primary sponsor for the 2011 Violation1.com Shea Racing AMA Supercross Team, has officially launched their 25th Anniversary Sweepstakes contest. 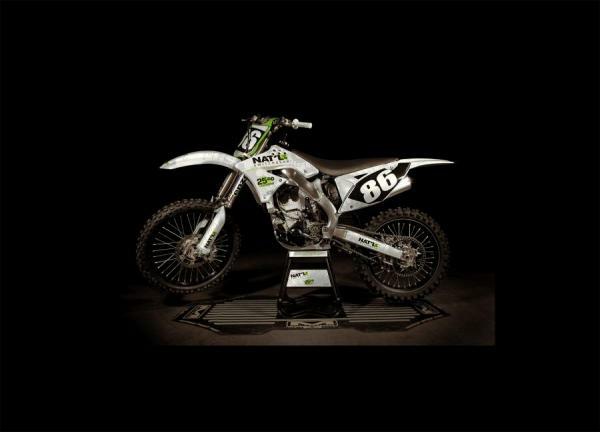 Grand prize is a race-ready Kawasaki KXF250. This state of the art race bike is restored to like new condition and originates from the 2010 AMA SX National Switchgear sponsored race team Violation1.com/Shea Racing/NationalSwitchgear. Custom graphics kit by Speed Graffix. Contest winner chosen in December 2011. Eligibility to receive the 25th Anniversary motorcycle is limited to customers or potential customers of National Switchgear through attendance at industry events and trade shows to which customer or potential customers are invited and those customers or potential customers registering via National Switchgear's website from January 1, 2011 through December 31, 2011. Giveaway of the motorcycle is intended to be a promotional giveaway to celebrate the 25th Anniversary of National Switchgear with its customers and/or potential customers. It is not intended to be, nor shall it be construed as, a matching contest, prize drawing or sweepstakes open to the general public. Employees, vendors, equipment dealers, competitors, and/or any family member of employees, vendors, equipment dealers and competitors, as determined in the sole discretion of National Switchgear, are ineligible to receive the award. Only one 25th Anniversary motorcycle will be awarded. Only one entry per customer or potential customer.